When you stop into Acura of Berlin visit our parts department to get the best deal around on wiper inserts for your Acura. Present this coupon and get free installation too! Its that easy to see clear all year with the best genuine inserts on the market! Plus tax, and disposal fees where applicable. Must present ad at time of purchase/service to redeem. Offers may not be combined w/ other offers/ discounts & are subject to change/termination w/ out notice. Valid on Acura and Honda vehicles only. Coupon not valid with any other offer. 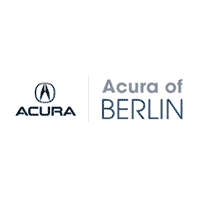 Valid only at Acura of Berlin. Not valid on previous purchases. Not responsible for typos. See dealer for details. When you purchase 5 quarts of our genuine Acura brand full synthetic or synthetic blend oil, we will give you the oil filter AND drain plug washer absolutely FREE!! Just present this coupon at time of purchase at the parts department and you will be all set to do your own oil change with the confidence that you have the best parts and fluids available at an amazing price! When you purchase $99 or more from the parts department, we will give you a can of BG MOA for your Acura! Just present this coupon and get the best cleaner and conditioner for your engine oil on the market! try it today!! Plus tax, and disposal fees where applicable. Must present ad at time of purchase/service to redeem. Offers may not be combined w/ other offers/ discounts & are subject to change/termination w/ out notice. Valid on Acura and Honda vehicles only. Coupon not valid with any other offer. Valid only at Acura of Berlin. Not valid on previous purchases. Not responsible for typos. See dealer for details. May not represent actual product. Spend $100 or more and receive a free nsx t-shirt!